Never worry about algae again with the Tru•Blue Promise! 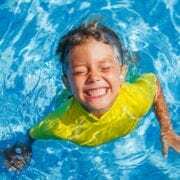 If you own a swimming pool, then you know how many memorable moments you’ve had there with your family and friends. But you may also recall missing a moment due to a sudden outbreak of algae. 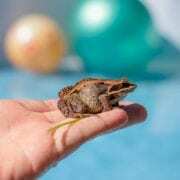 This is one of the most common issues that confront pool owners and wise caretakers know that the best course of action is to prevent it before it happens. But maybe you’ve cut corners here and there and tried to get by with lower quality products or skipped a step or two to save time. Now green water occurs more often than you’d care to admit. And don’t forget about the added expense of using more chemicals and the extra time it takes to get your pool back into shape. 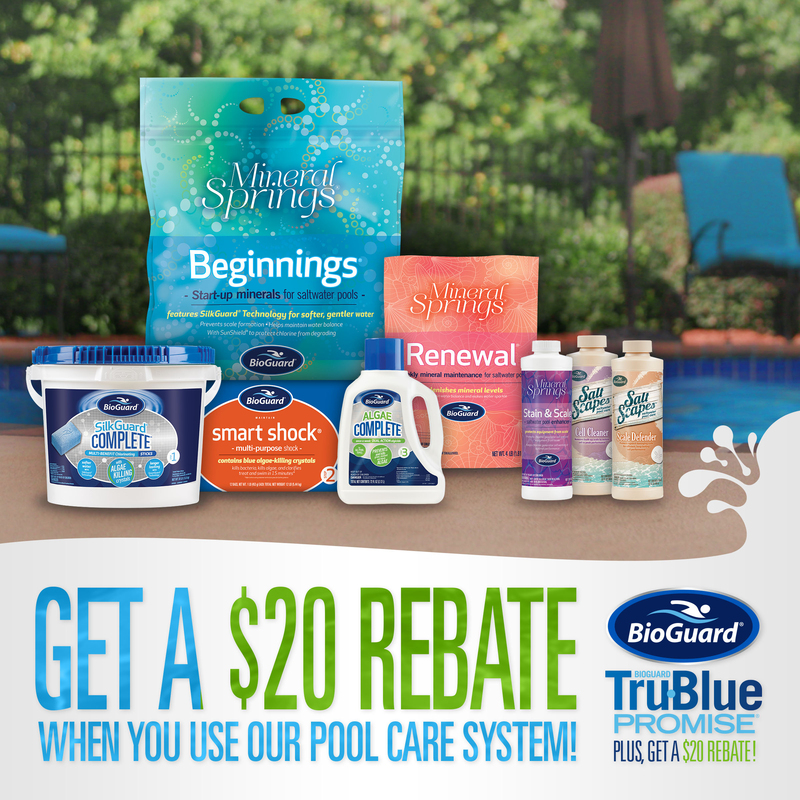 The BioGuard Tru•Blue Promise program takes away your worries! The exclusive BioGuard Tru•Blue Promise program can be found only at the best BioGuard dealers. With this Promise, we’ll be sure you’re using quality products designed for ultimate prevention. 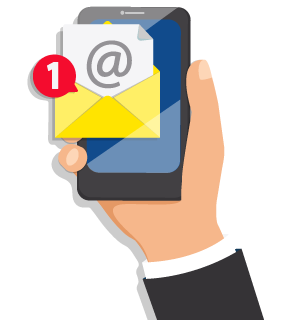 In addition, we’ll see that you’re using them properly, and that you’re testing your water with the most in-depth analysis available. By using our proven products and following our advice, the chances of algae are dramatically reduced. You’ll have spectacular looking water all season long. But the best part is that if you’re loyal to the Promise, and you still end up with algae, we’ll give you everything you need to fix it for FREE. Now that’s peace of mind that ensures you never miss a moment again in your pool. 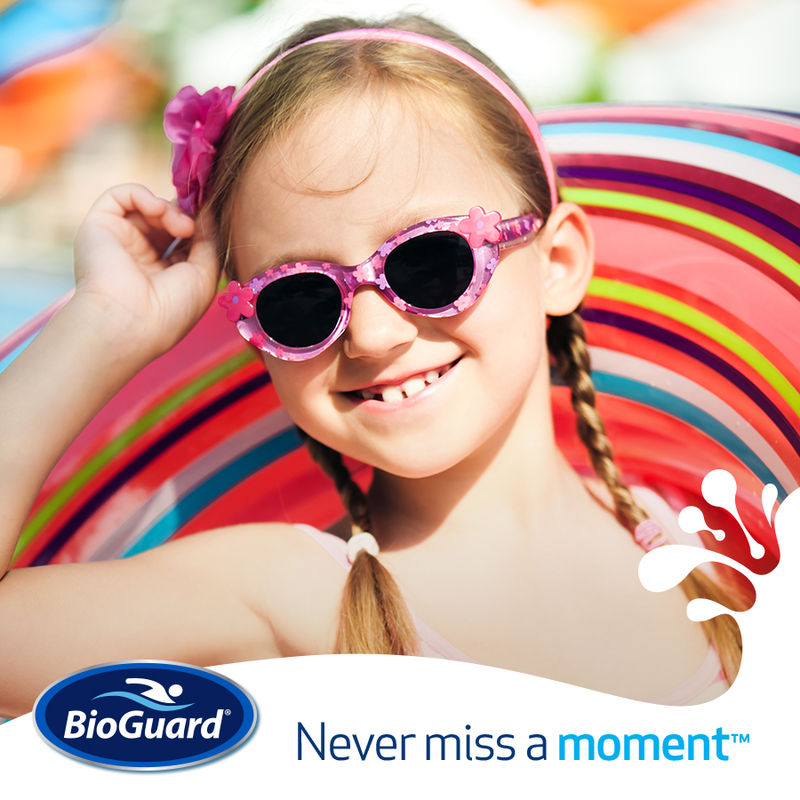 Stop by and chat with us, your BioGuard pool experts, and learn exactly how the program works or keep on reading for more details. Who is eligible for the Promise? 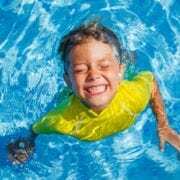 Use a chlorine sanitizer, a saltwater chlorinator or Mineral Springs® (bromine or biguanide systems are not eligible at this time). 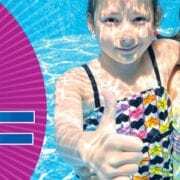 Mineral Springs® Pool Owners must purchase Mineral Springs™ Beginnings or Mineral Springs® Renewal® PLUS Mineral Springs® Stain & Scale. Continue to use only eligible BioGuard products and follow suggested treatment routine. Bring us a sample of your water to test regularly. Perform recommended water balance adjustments. 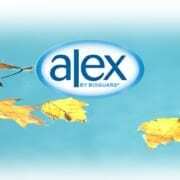 Bring a water sample to us, your BioGuard Dealer, for an ALEX® Water Analysis. Now that’s peace of mind! 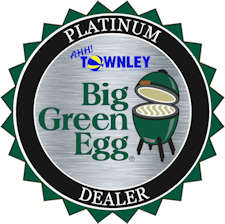 Stop by and chat with us about this great new program or contact us below!